Fancy a short early season ski break but not sure where you’ll find snow? There are some fantastic pre-Christmas deals out there, with many resorts offering a discounted, or in some cases FREE ski pass until around 20th December. 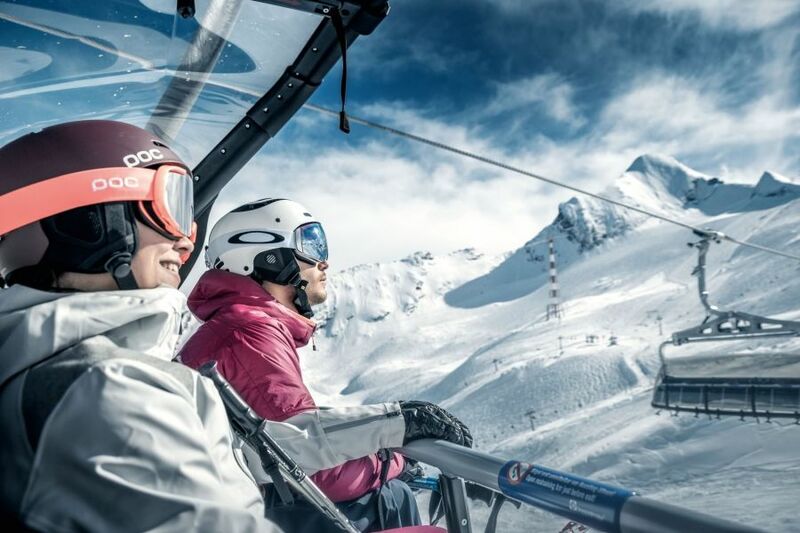 The Kitzsteinhorn glacier ski area starts at nearly 2,000m above sea level and is open from October through to early summer, meaning that snow is all but guaranteed in December. Despite being a relatively small area with 41km of slopes it offers a surprising amount of variety, from wide slopes suitable for beginners and lower intermediates, to the black mamba black run which challenges even expert skiers. Its state-of-the-art lift system means that the queues are never long despite the resort’s popularity and it offers some lively après ski. Lastly it is under an hour and a half drive from Salzburg, making it ideal for a short pre-Christmas ski break, you may even be able to fit in some shopping at the Salzburg Christmas market before your flight home. Our short 3 night/2 day intensive ski course with 2 full days of lessons is an excellent opportunity to brush up on your technique at the start of the season. Another high, snow sure resort starting at 1800m above sea level, Livigno is also known as ‘little Tibet’ due to its remote position in northern Italy close to the Swiss border. Thanks to its historically isolated location (until around 50-60 years ago the roads to Livigno used to be inaccessible over the winter months, cutting it off completely from the outside world) it benefits from VAT free status and offers an array of shops selling everything from electronic goods, to beauty products, fashion and of course, alcohol and cigarettes. Find out more on the duty-free limit. The area offers around 100km of slopes on two unlinked sides, Mottolino and Carosello, there is a regular ski bus service that links the two. From 1st to 21st December the resort offers a free ski pass for guests staying at participating accommodation for a minimum of 4 nights. You can come and enjoy the snow (even if there has been little early snowfall the excellent snow making facilities and altitude ensure that many of the slopes will be open), the Christmas markets, and some of the liveliest après ski in Italy all at a bargain price. This chic resort in Italy’s Trentino region is one of the most exclusive (and expensive) in the Alps. It offers a large linked ski area of around 150km, good snow making and some excellent restaurants. If you want to ski here but it’s a little over your budget, then try early or late season, when the resort offers a free ski pass for a minimum stay of 4 nights and you can find some fantastic deals. The best time to go is between 9th and 21st December (8th December is a public holiday in Italy this date is not included in the offer), when you can enjoy quiet slopes and check out the small Christmas market in the centre of the resort. This small ski town sits slap bang in the centre of the vast Paradiski area that links Les Arcs with La Plagne. Open from 15th December the ski area offers snow sure skiing above the tree line and some well prepared, sheltered tree runs. The Les Arcs/Peisey Vallandry ski pass offers 200km of runs, while the full Paradiski pass including La Plagne offers a whopping 425km of marked runs making it one of the top 3 largest ski areas in the world. The resort has good public transport links, meaning you can take the Eurostar from London to nearby Bourg Saint Maurice or a direct bus from Chambery airport. So there you have it, from a short 3 night break in Austria, to a week in one of the biggest ski areas in the world, these are our top picks for an early season ski break. If you want to know more about any of the above breaks (or indeed any of our other ski breaks) just drop us a line.